All you technical people out there very well know the purpose of creating custom table. Its basically when we need to store data before pulling into standard table (In case of inbound interface) or putting extract of data to share with external entity (In case of outbound interface). 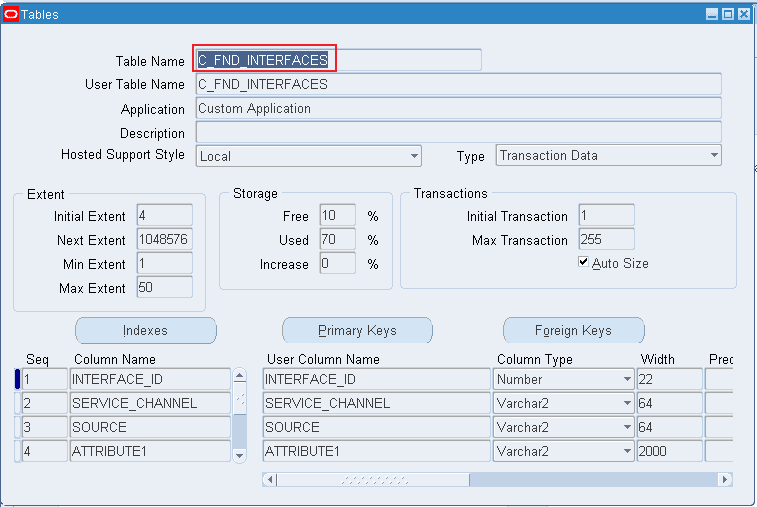 All these activities can be accomplished without registering custom table in oracle apps. 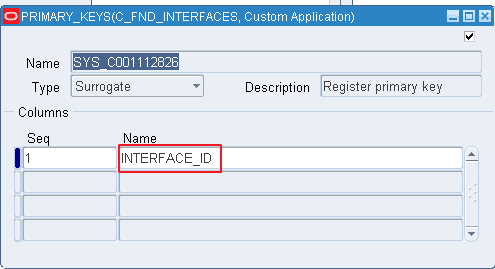 If you have a need to use these custom tables in standard functionality in frond end like using in Alerts / Audits, you must register them. Otherwise your custom table will not be visible in front end. Lets start this by creating a sample custom table. You would have noticed that table is created under custom schema. Make sure you create synonym under APPS schema. p_table_type      IN VARCHAR2, -- Table Type. Use 'T' if transaction table. 'S' for seed data table. p_column_type     IN VARCHAR2, -- Column Type ('NUMBER', 'VARCHAR2', 'DATE', etc.). Let’s go and validate in application. F11 –> Enter your table_name ‘C_FND_INTERFACES’ –> Ctrl + F11.